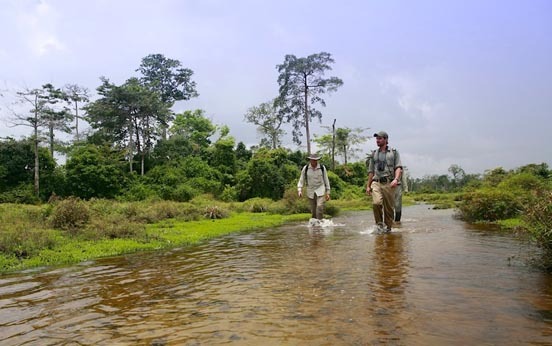 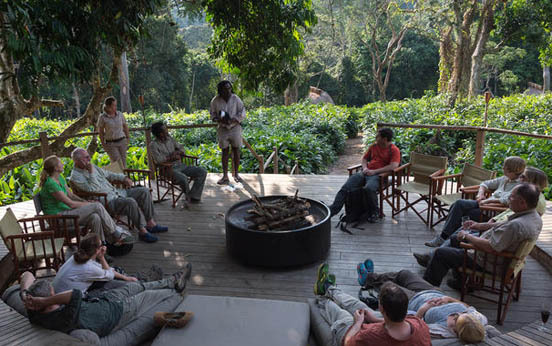 Depart Brazzaville by flight for Mboko airstrip followed by a nature drive to Ngaga Camp, a private concession just outside Odzala-Kokoua National Park. 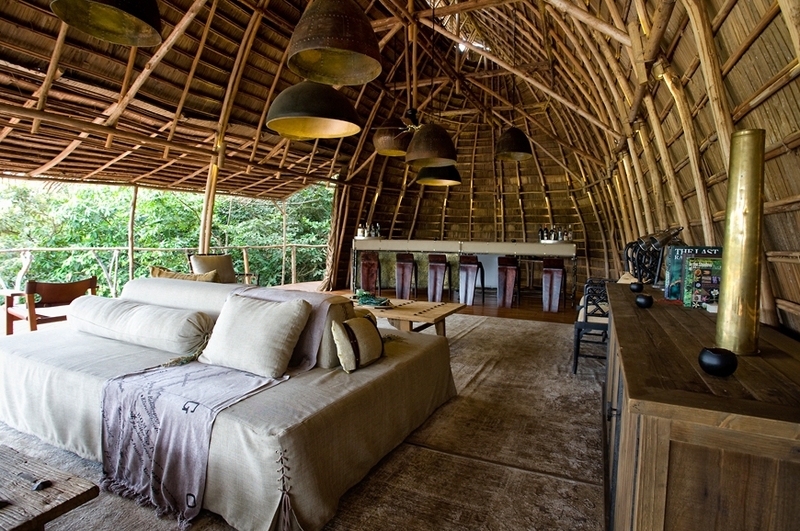 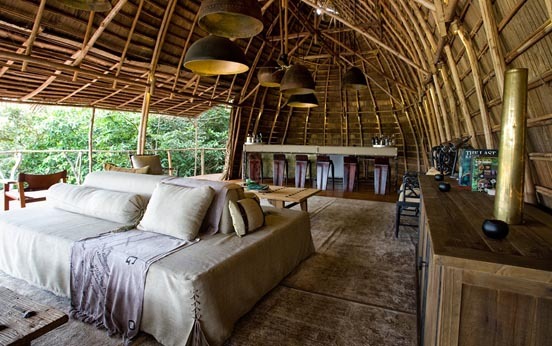 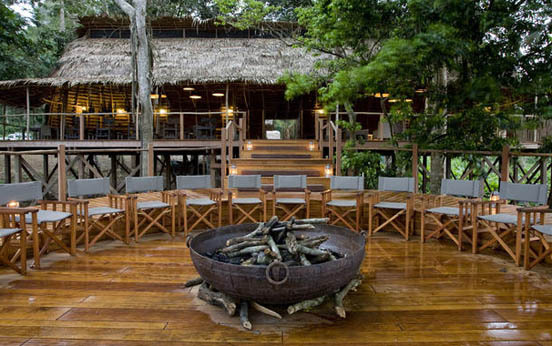 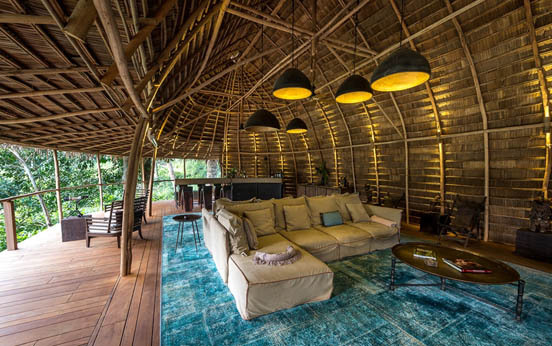 Each platform raised room with en-suite facilities takes inspiration from the local Baka tribe's homes and is a combination of timber, woven palm leaf roofing and canvas. 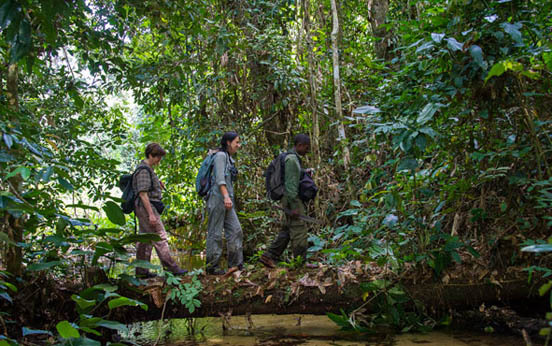 Each morning set off with skilled trackers and guides into the Marantaceae forest, the ginger like food of the gorilla. 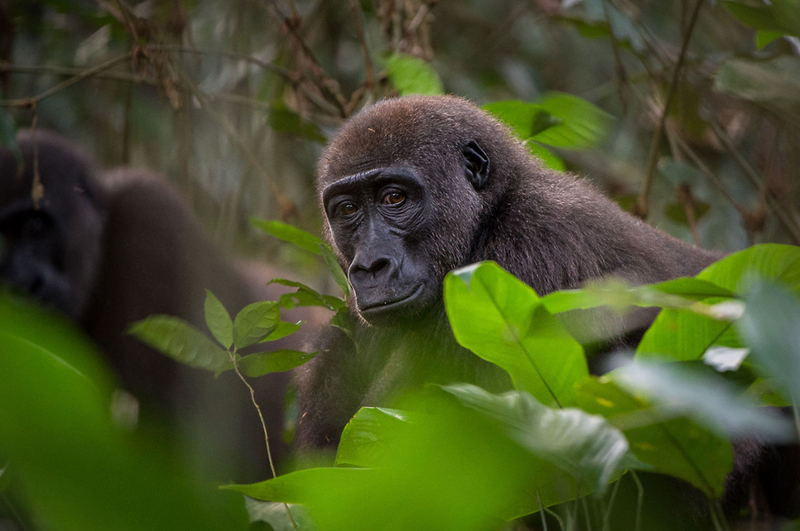 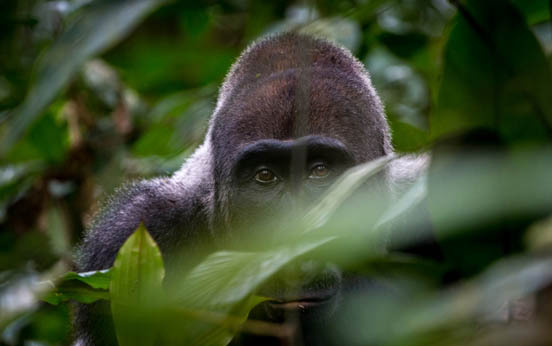 Quietly observe busy gorillas as they feed, climb trees, play and cavort before enjoying other species this wildlife rich forest offers. 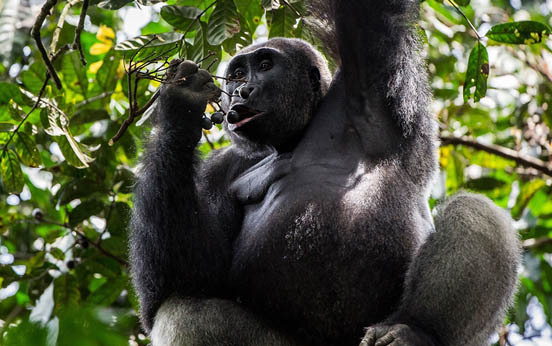 More than 8 other diurnal primates can be seen while at night, the diminutive Elegant needle-clawed bushbaby can be seen. 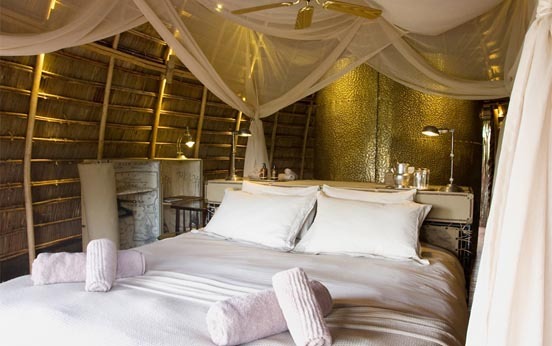 Depart camp for a nature drive through forest and savanna to Lango Camp, on the edge of a salty Bai, which attracts animals from miles around. 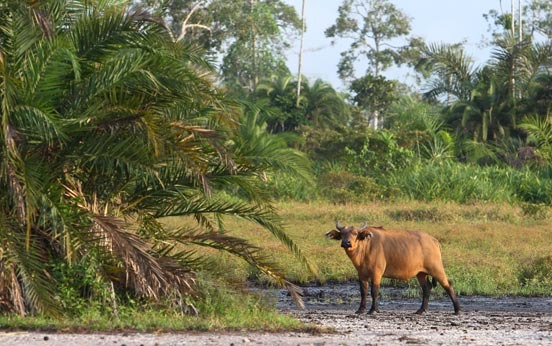 Lango is similar to Ngaga however is raised on plaforms and look out onto the Bai. 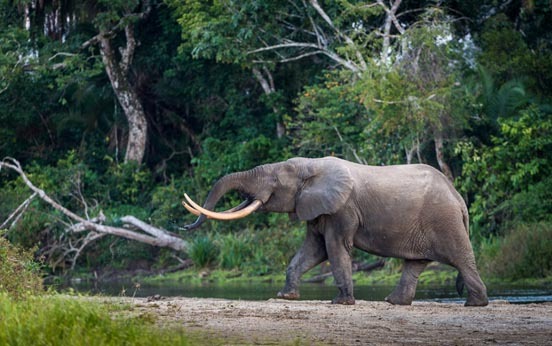 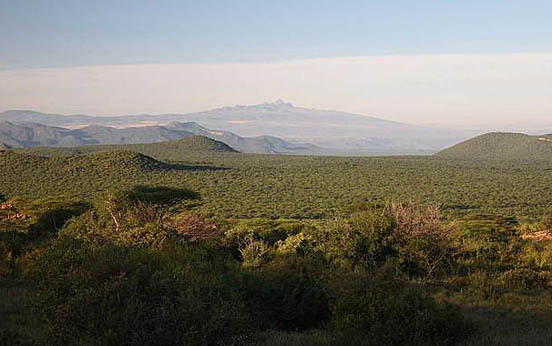 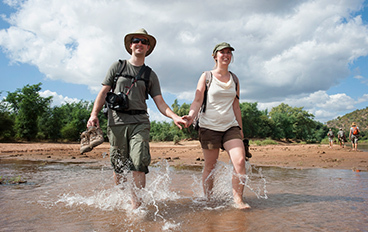 Explorations on game drives, boat cruises, kayaking and nature walks uncover a multitude of diverse forest inhabitants. 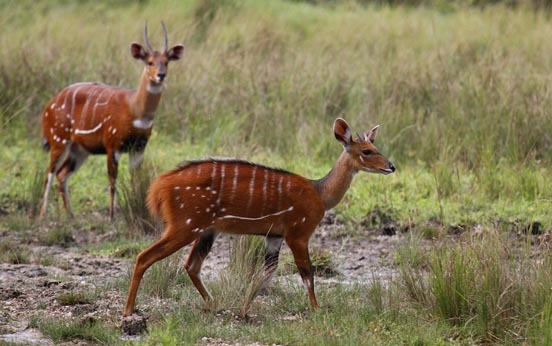 Rare seen golden cat, bongo, sitatunga and giant forest hog are found here, as well as forest buffalo and elephant. 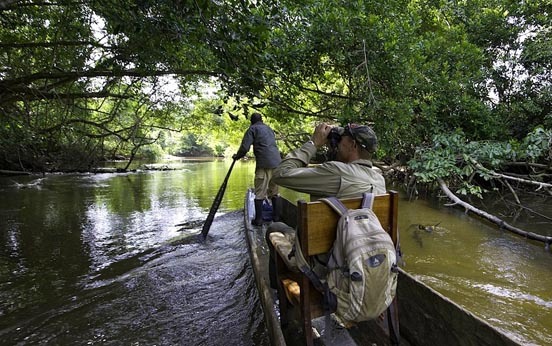 Encounter wild gorilla, colobus monkeys, chimpanzees and three different types of crocodile. 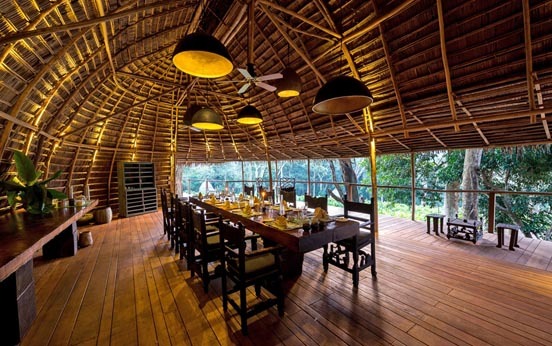 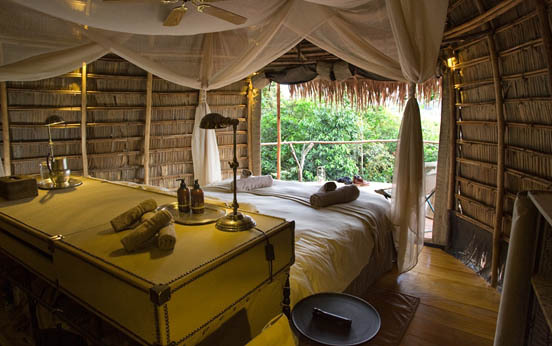 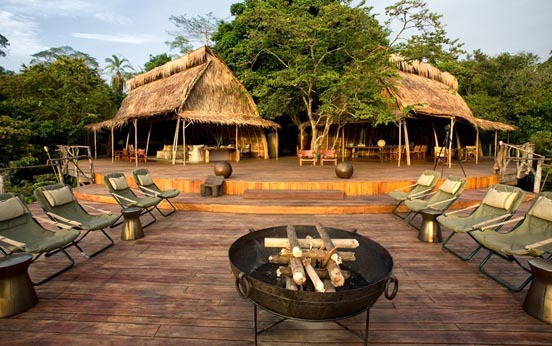 Lango is a unique safari experience with a daunting variety of wildlife and is a must do for safari enthusiasts. 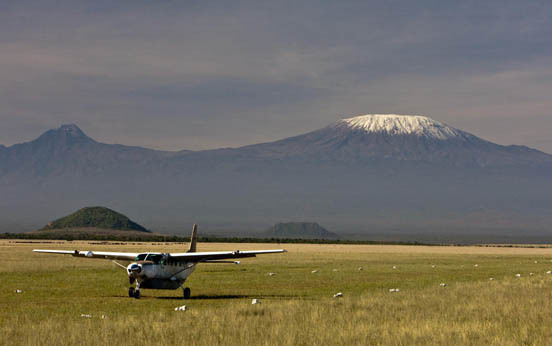 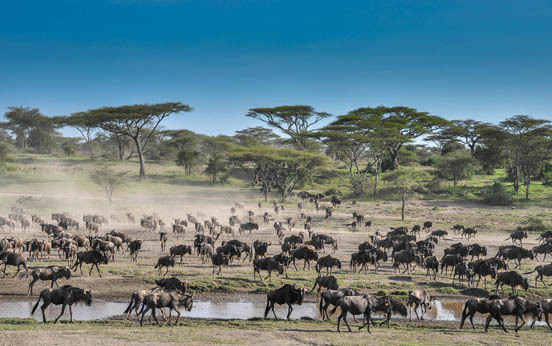 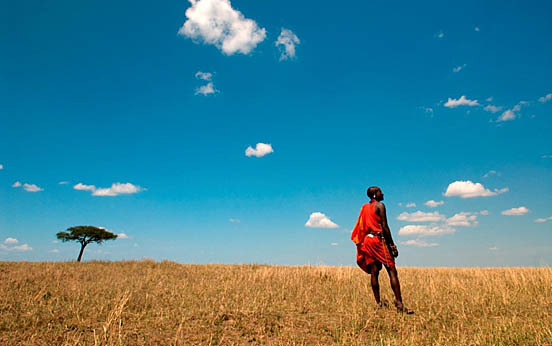 With seamless connectivity to Nairobi, Tanzania and Kenya's annual wildebeest migration and a host of incredible experiences are a mere 4 hour flight away. 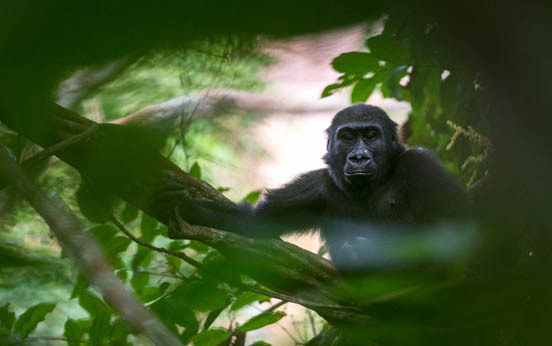 Our knowledgeable team have travelled to East Africa extensively over the past three decades and would love to hand-craft a savanna wildlife extension to complement Congo's sublime primate experience. 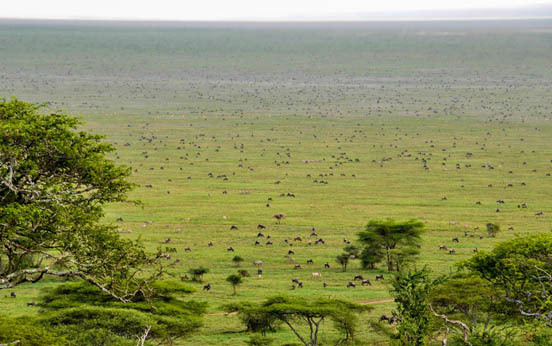 Imagine a grassland of a gently rolling landscape covered in almost two million wildebeest on the move, with their ever present companions, the large herds of zebra, eland and of course attendant predators! 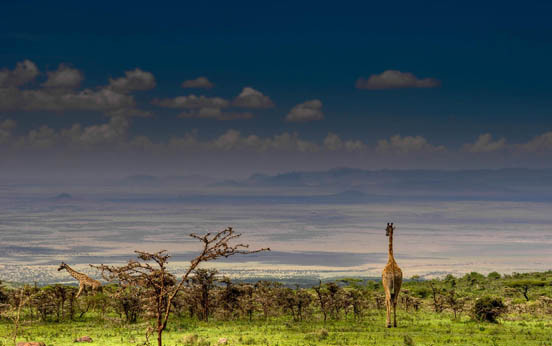 This is East Africa's greatest spectacle and is just one of the phenomenal experiences on offer.